Cardinal Health CW0071CS Wheelchair, Swing-away Footrest, Chrome, 18 in. Supports 300 lbs. 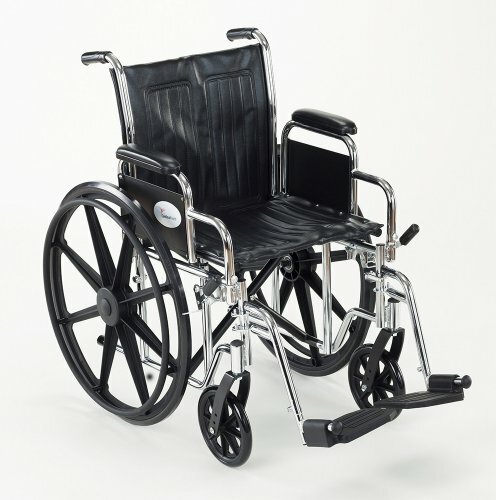 Wheelchairs from Cardinal Health offer the features clinicians and patients require most. Wheelchairs are made with high quality craftsmanship and have been extensively tested for safety and reliability. Features removable desk length armrests, swing-away footrests, chrome finish and deeper anti slip device. Measures 18 in. W x 16 in. D and supports up to 300 pounds.